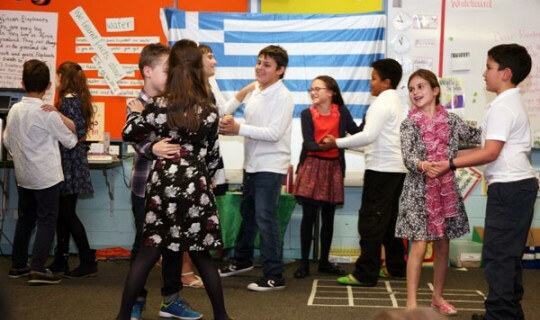 Students of the Malvern School of the Greek Community of Melbourne’s Greek School for students who have Greek as their first language celebrated the Greek National Day on Tuesday 25 October. 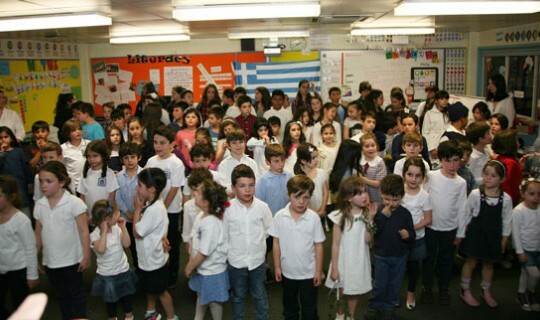 They sang songs for the women of Pindos and the Greek flag. They also danced the Spanish waltz "Guess if you can what I brought you tonight", which satirizes the shortages of coffee, sugar and bread during the Occupation. The High School students approached differently the history of 1940 by writing their own diaries and letters as soldiers during the war. Also this year parents recited poems they remembered from their school years. With this initiative the roles were reversed and the students loved their parents to do exactly what they were ask them to do.